Vault into the saddle, pick up the reins and get ready to ride! This mini file of pony fun will make your heart race! 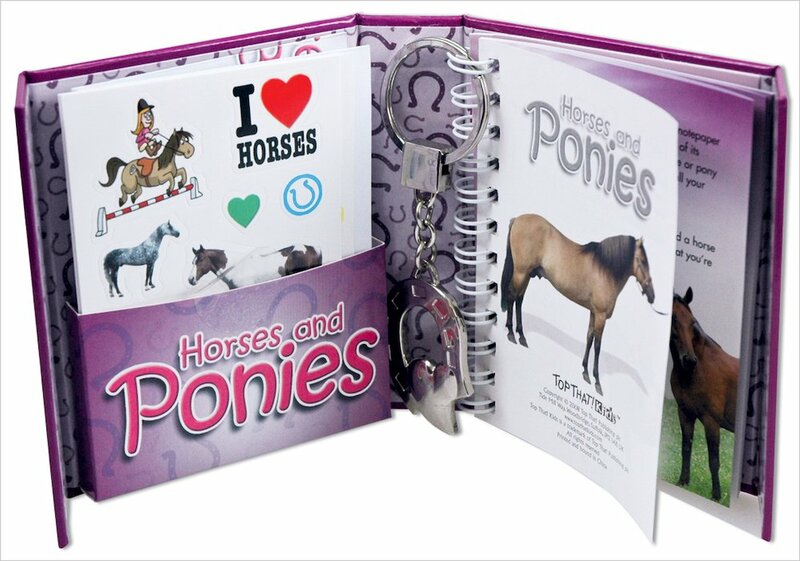 There are pony facts, horse care tips, and gorgeous notepaper for jotting down ideas. There are handsome horse stickers to decorate all your things. There’s a fold-out pony poster to gallop across your wall. Best of all, a lucky horseshoe keyring to make you jump for joy! 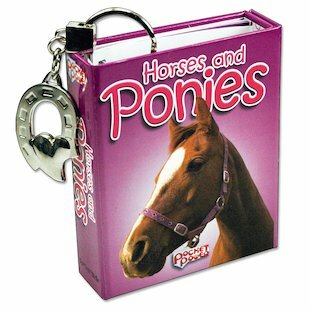 I found this a nice book to read if you want to learn about horses. 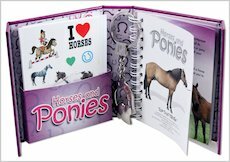 this book is great for horse lovers like me! it tells you everything about horses an shows you how to draw them to.